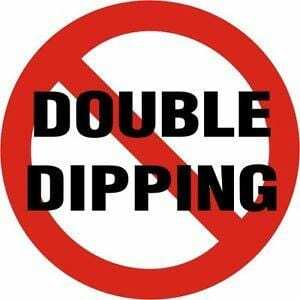 Just say NO to double dipping!!! With both College football and NFL football back the chips and dips will be out for everyone to enjoy! For me, I’m not so concerned about double dipping because I live by the motto “The Human Body Has Consumed Worse” and double dipping won’t hurt me. If you worry about double dipping at your football party, keep your eye on men and millennials. They are the most likely to commit this flagrant foul and penalize your other party guests. Also, taking a bite from the dip end of the chip, then turning your chip around and dipping the other end will still draw a flag at most parties. Go forth and enjoy the football party season and if you must double dip… be smart about it :)!